If you’re a fan of Nutella-type spreads, you are going to LOVE my Nutty Chocolate Spread. This spread is a Fuel Pull, so have it on your sprouted toast, as a dip with your strawberries or on top of your ice cream. The possibilities are endless and I am extremely excited to see what creations I can share with you that use this new fridge staple. 🙂 I already have a few in the works. I know, I know. Something this rich and chocolatey looking can’t possibly be low in fat AND carbs. And if it is, is it worth eating? Be comforted, friends. This spread lacks nothing in the flavor department thanks to a few special ingredients like MCT oil, peanut flour, and collagen. Definitely not cardboard or scary diet chocolate. I guess you could call this a superfood recipe. If you’re really crazy about Nutella, you can try adding a dash of hazelnut extract. We ate this right away, so I don’t know how the texture is after being refrigerated. It seemed to thicken the more it sat out. 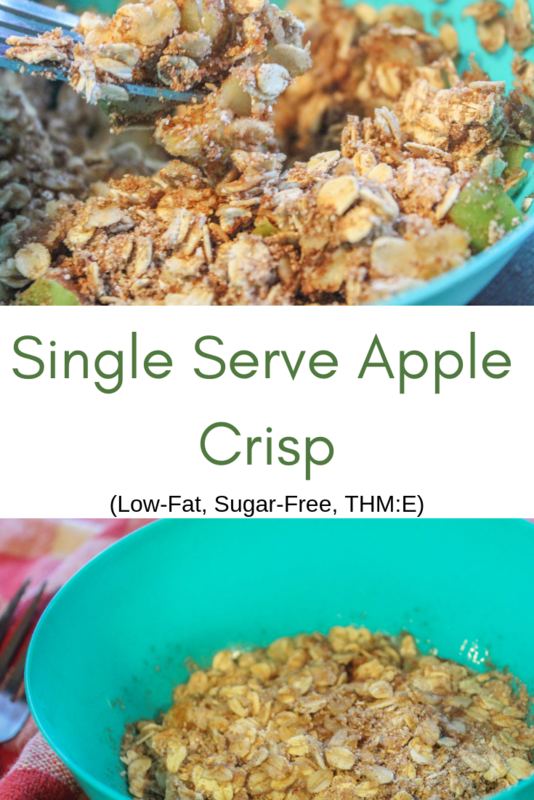 This recipe came about because my sons needed a snack (hangry!) and Mama needed something chocolatey. I wish I had a cool backstory, but I really don’t. Sometimes the people just need to be fed! My boys loved dipping their strawberries in it. My youngest son actually stole the bowl and hid with it under the table. He thought he was being sneaky, but his chocolate-covered face gave him away. This recipe makes a little less than 1/4 C. It’s the perfect serving for your toast or to be used as a dip. You could even eat it straight out of the bowl if you’re that desperate for a chocolate fix. Not saying the thought crossed my mind today, but I’m not saying it didn’t either.. 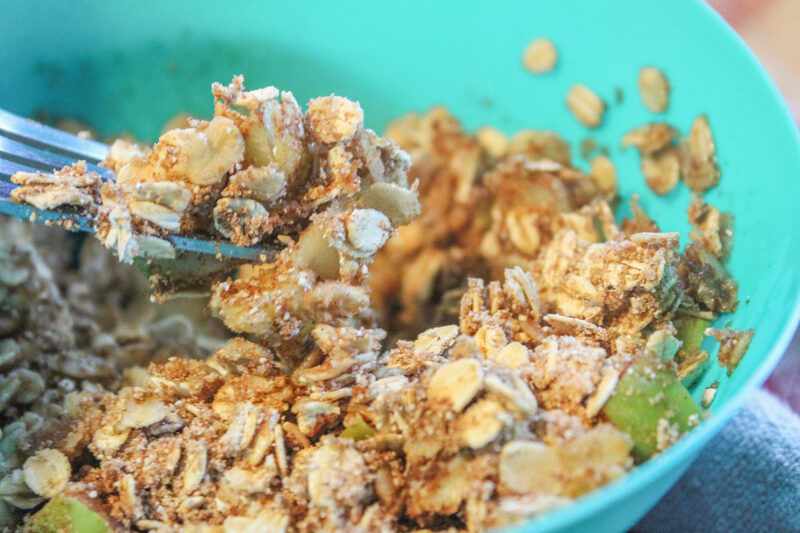 Mix together the dry ingredients in a small bowl. Add in the wet ingredients and stir well. Adjust to fit your preference! You might want another pinch of mineral salt or a bit more sweetener. Enjoy! One of my favorite breakfasts growing up was Coco Wheats. This hot, chocolatey cereal made many mornings awesome, especially in the cold Iowa winters. Temperatures here have been colder than Alaska, (literally!) and I found myself craving this cereal quite fiercely. 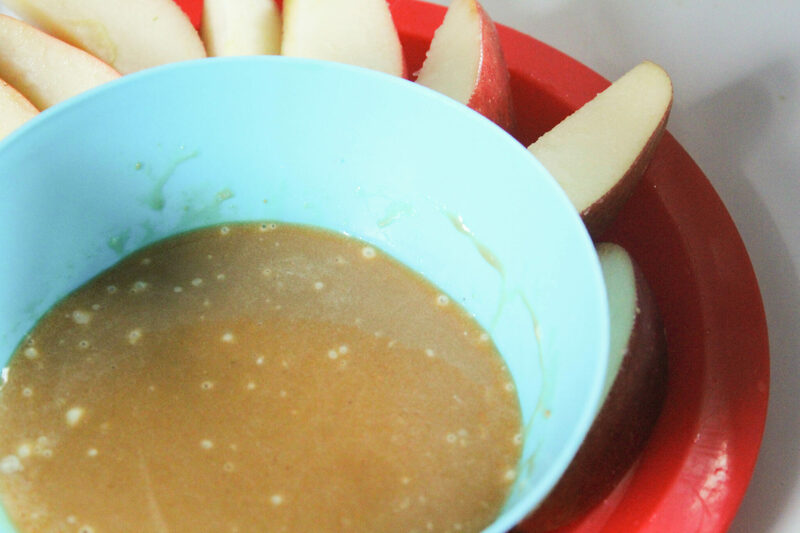 You’ll notice this recipe isn’t sweetened and yes, it’s on purpose! 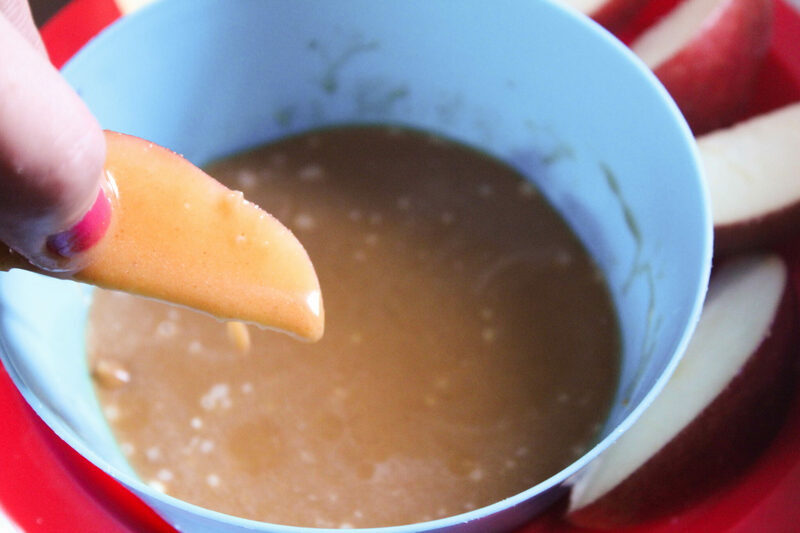 I personally prefer this type of breakfast sweet, but the original recipe actually comes unsweetened and you would be SO surprised at how many eat this plain. Sweeten it to fit your taste. 🙂 To make this recipe NSI, feel free to omit the Baking Blend. The result won’t be the exact same, but it is still good! 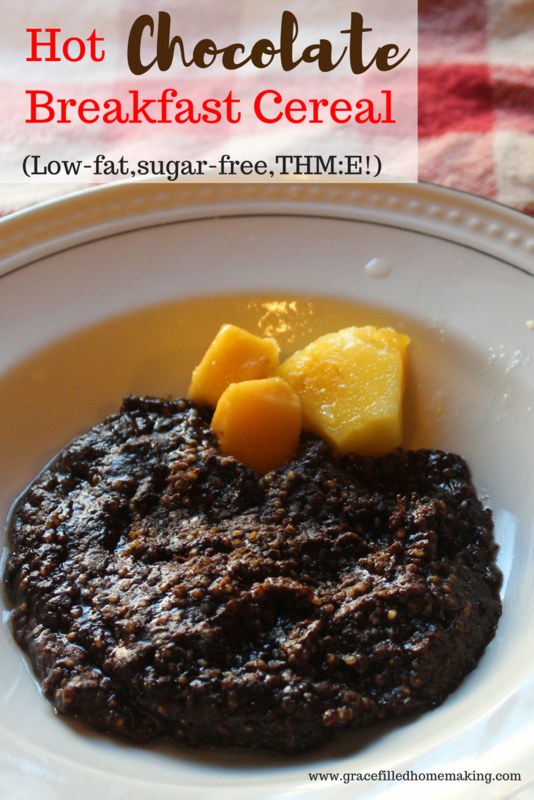 Place the quinoa, salt, cocoa, Baking Blend and vanilla in a blender. Blend for 30 seconds or until the quinoa is lightly broken up. 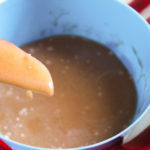 Place this mixture with the water in a saucepan over medium heat and bring it to a boil. 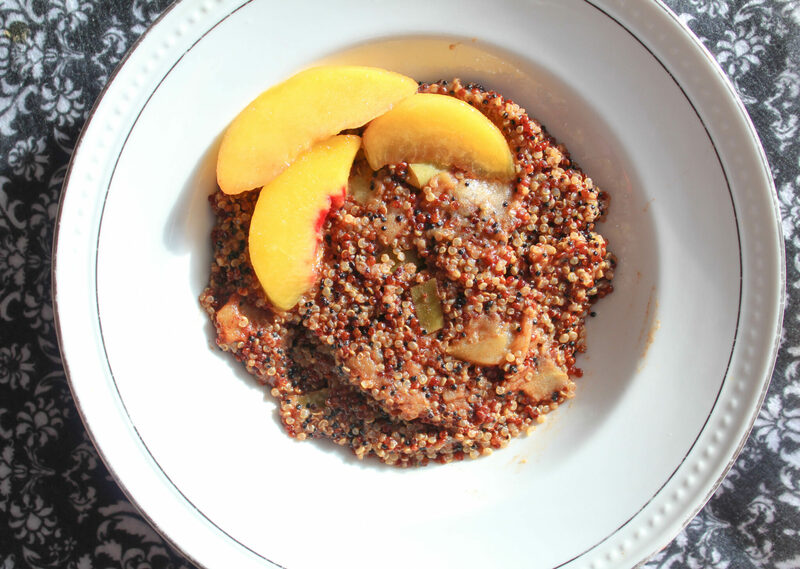 Turn the heat down to low and simmer until the quinoa is fully cooked (10-15 mins). Stir occasionally. Sweeten to taste and enjoy! 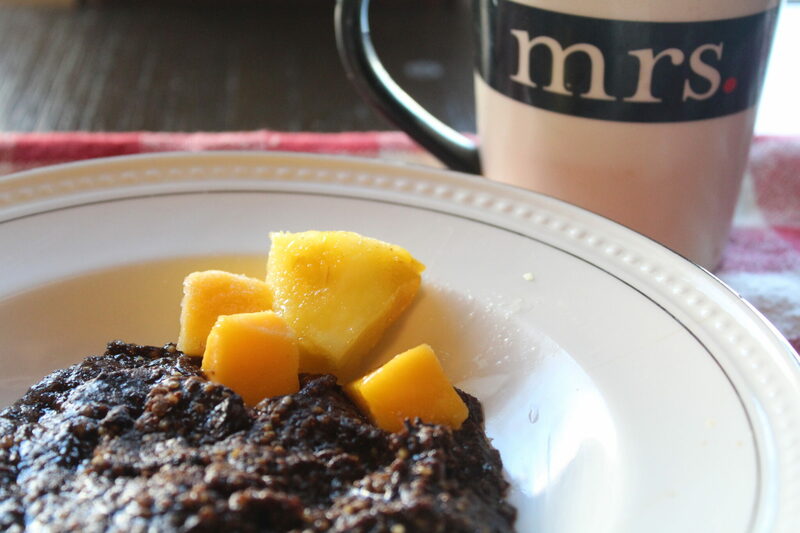 This breakfast dish is made in the Instant Pot. If you don’t have an Instant Pot yet, feel free to make this following the cooking instructions on the back of the grains package. 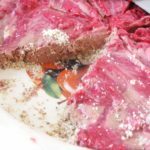 In the Instant Pot, it takes about 15 minutes altogether, which isn’t bad. It has a wonderful flavor. I added a chopped apple, some cinnamon, sweetener, and vanilla. 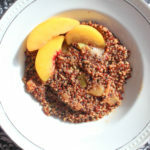 What I like about quinoa is that the texture is unique and not super “mushy”. You’ll love the simplicity of this recipe. It makes 2-4 servings. 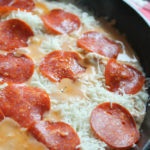 I refrigerated leftovers and they tasted just fine when heated throughout the week. 🙂 This is a great “E” breakfast. 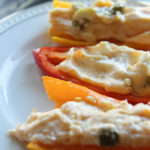 Pair it with a little greek yogurt for additional protein. 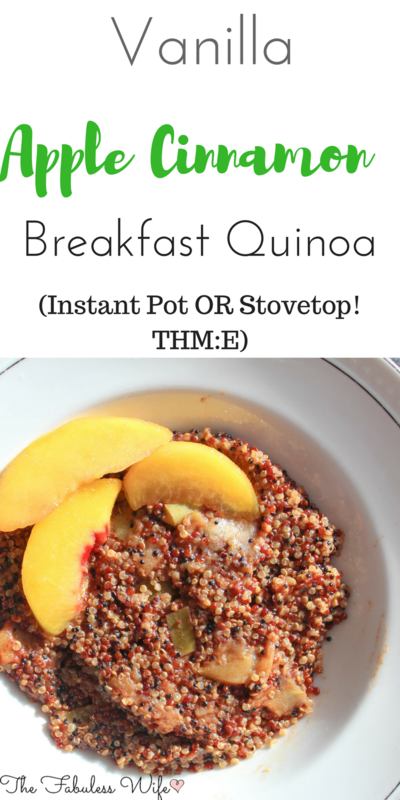 Want more breakfast quinoa ideas? Check out this one from Wonderfully Made Dearly Loved! Add all ingredients to Instant Pot and stir. Close and lock the lid and turn to "Manual" pressure. Select 1 minute cooking time. When the timer goes off, do a natural pressure release for 8 minutes. Open the lid and serve! I’m always trying to find new ways to dress oatmeal up a bit. 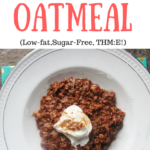 Oatmeal is a frugal breakfast option that is very filling. When you find a recipe that you love and want to incorporate into your menu, you can save quite a bit of money on your grocery bill! 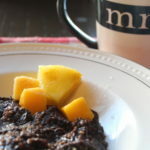 My Chocolate Chai Oatmeal is a decadent way to get your “E” meals in if you’re following the Trim Healthy Mama plan. 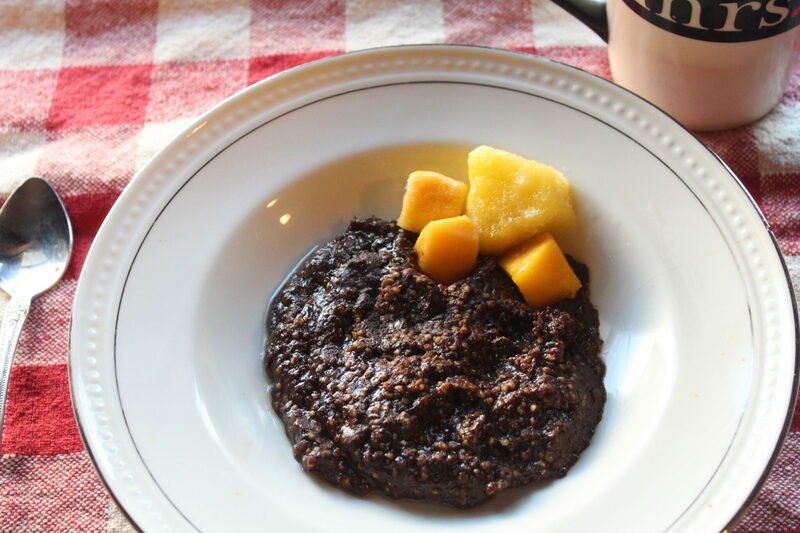 It features a rich, dark chocolate base with a hint of chai spice to give you a unique breakfast experience. The best part is, you don’t even have to own the many spices that make up a chai blend. 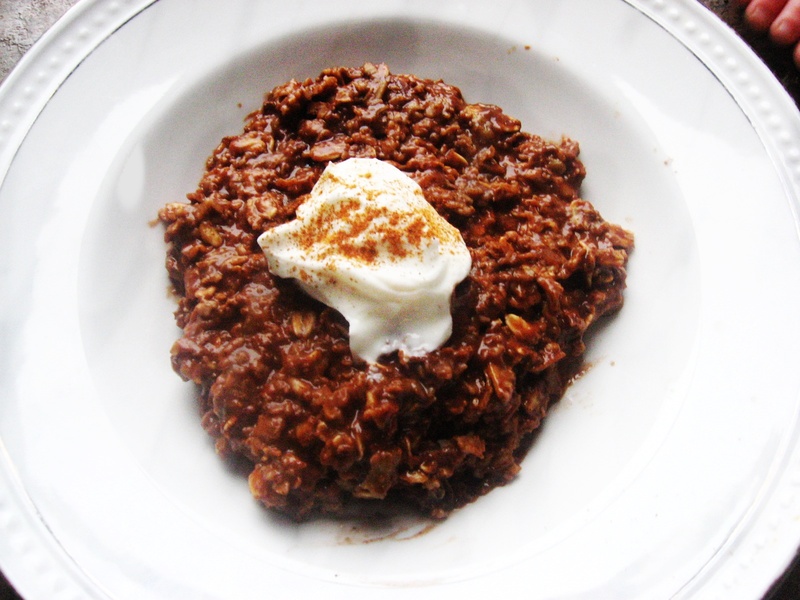 For this recipe, we’re going the easy route and using chai tea to boil our oatmeal in. 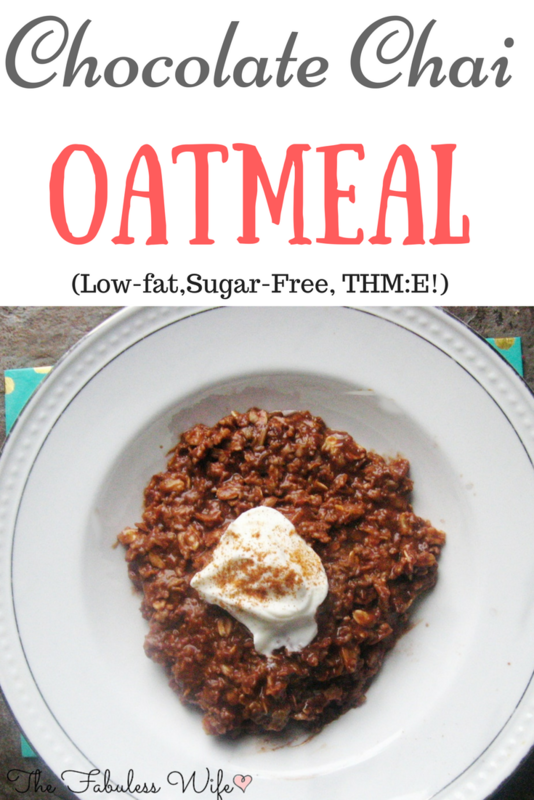 This oatmeal tastes like dessert and it’s a wonderful way to start your day! 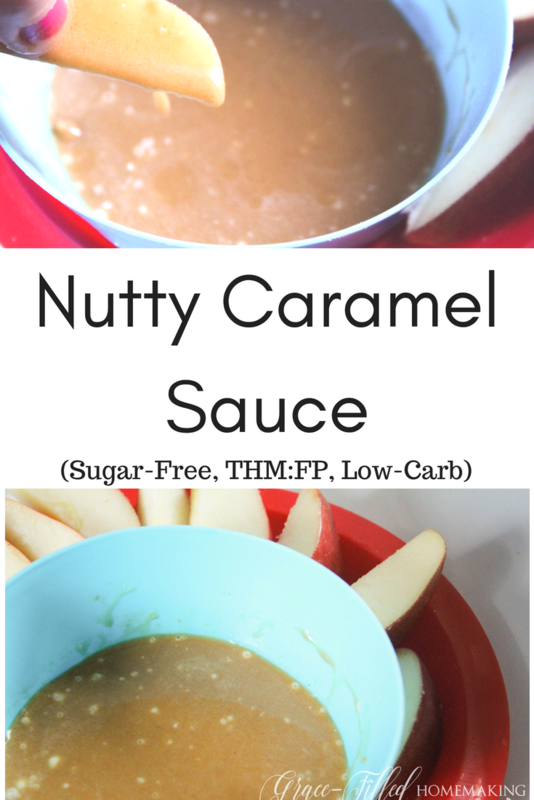 Confession: I’ve actually made this recipe for a snack and even dessert. It’s that good! 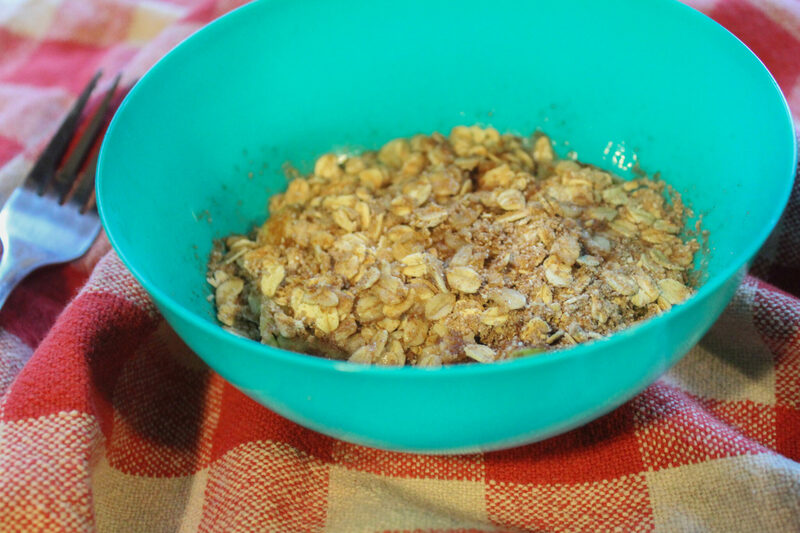 This recipe makes one large bowl of oatmeal. I like to top mine with a dollop of Greek or Triple Zero yogurt for added protein. 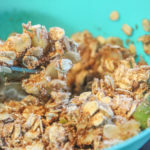 The oatmeal is quite thick, so feel free to add a dash or two of almond or cashew milk to get the consistency you want! 1. Bring the water and tea bag to a boil and let steep for 5 minutes 2. Remove the tea bag and stir in the oatmeal. Let simmer until done. This may vary by brand, so always consult your package! 3. Stir in the sweetener, cinnamon, cocoa powder, almond or cashew milk, vanilla and salt. 4. Enjoy! I’m a huge fan of hot cocoa, especially ones that are a bit different. In the past, I’ve created recipes for mint hot cocoa and recently perfected this recipe I’m sharing with you today! There’s something special about a cup of steaming Mexican Hot Chocolate. 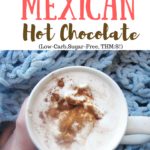 Mexican Hot Chocolate is just as creamy as your regular hot chocolate, but it’s complemented by a unique spice blend and usually uses quality vegan chocolate for baking. This cocoa includes a burst of flavors from chili powder, vanilla, cinnamon and if you want a little kick, cayenne pepper. The recipe is single serve but makes a very large mug. I was able to get my share and satisfy the curiosity of two little men. 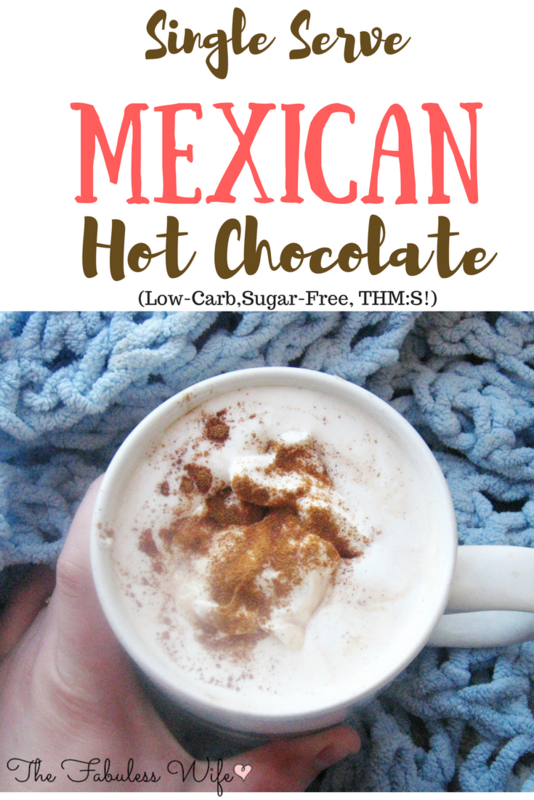 Traditional Mexican Hot Cocoas are heavy in cream and sugar, but I decided to add creaminess to this recipe using coconut oil to keep it a little lighter. This is a good idea, especially if you want to indulge in a squirt of fat-free Reddi-Whip on top or even whip up a batch of homemade whipped cream. I’d recommend the extra sprinkle of cinnamon as a garnish, it makes things prettier. 😉 If you don’t feel like indulging, this recipe is a Deep S.
My hot cocoa is the perfect way to warm up on a cold day and with the impending winter storm brewing, this recipe is timely. 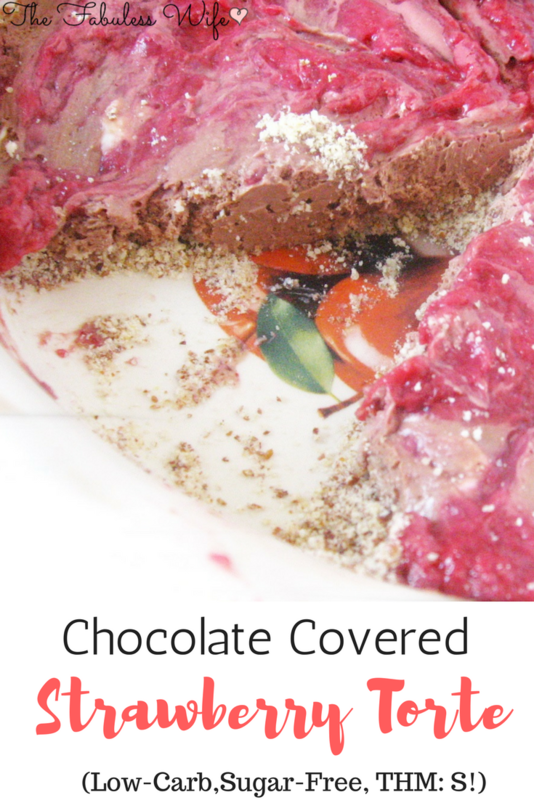 Chocolate Covered Strawberry Torte: Low-Carb, Sugar-Free, THM:S! What’s better than chocolate covered strawberries? This torte is very simple to make, yet it looks like you spent hours on it. It has a light crust that balances out the rich chocolate filling perfectly. It’s topped with a strawberry reduction that truly makes it unique. Don’t let the word reduction scare you, this is easy as pie. Easy as torte? Whatever, enough with the Mama jokes. Let’s cook! Combine all ingredients and press in the bottom of an 8-inch pie pan. Bake at 350 degrees for 15 minutes. Let cool. Whip all ingredients together until fluffy. Spread over cooled crust.